The firm is working to differentiate Barbados from other Caribbean destinations during the two-year contract. (Image via Visit Barbados' Facebook page). NEW YORK: Barbados Tourism Marketing Inc. has brought on travel marketing agency Development Counsellors International as North American AOR. DCI will develop PR and marketing initiatives throughout the U.S. and Canada that are focused on driving tourism growth and raising Barbados’ profile as a travel destination in the Caribbean. 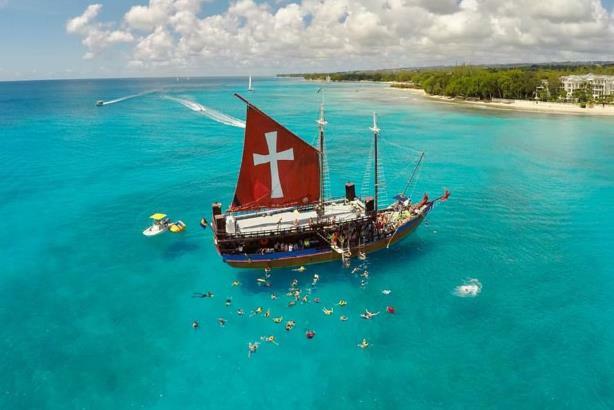 "We wanted someone to come in with fresh eyes and have an innovative approach to telling Barbados’ story," said Petra Roach, U.S. director for Barbados Tourism Marketing. "DCI, as a PR entity, has a marketing element and they understand the challenges of changing the story and making it resonate." Barbados Tourism, which runs the Visit Barbados website and social media accounts, is trying to differentiate the island from other Caribbean destinations and position it as a place for both families and frequent travelers. The marketing campaigns will also focus on similarities in the histories of the U.S. and Barbados. "We’re not just about selling sand and sea," Roach said. "We’re talking about historical affinity with the U.S. and building a deeper emotional connection with Americans when they visit." The contract, which began May 1, will run for two years. DCI will have a team of as many as nine staffers working on the account, led by EVP and head of the tourism practice, Karyl Leigh Barnes. The account’s budget was not disclosed. "I’ve always had a positive impression of the island itself," said Andrew Levine, president at DCI. "We always try to look for leaders, and in the Caribbean, Barbados has a positive reputation, and that’s one of the things drew us to them." Travel-focused marketing agency DCI has offices in New York, Denver, Toronto, and Los Angeles. The agency has worked on tourism campaigns on behalf of California, Japan, North Carolina, Tahiti, and Peru. The tourism body previously worked with Brandman for 15 years. "After 15 years of working successfully alongside the team at Barbados Tourism Marketing Inc., our time with them has ended on a positive note," said Melanie Brandman, founder and CEO of the Brandman Agency. "We look forward to seeing what’s next for the island in terms of destination marketing and personally I plan to holiday in Barbados for years to come." This story was updated on June 12 with comment from Brandman.